York, Pa. / Crailsheim, Germany: 7 September 2018 – BeltGenius ALEX (Alignment Expert) from Voith analyzes the alignment of carrying idlers in conveyor systems as part of its service portfolio. As soon as the system sensors detect a deviation from the set values during their temporary measurement, BeltGenius ALEX reports the problem and provides suggested solutions to optimize alignment. In first installations, the system greatly reduced idler wear, energy costs, and associated CO2 emissions. Reliable belt conveyor operation is key to productivity in mines. Even small deviations from optimum belt alignment increase energy consumption and lead to belt mistracking, with considerable material spillage and downtime. In addition, inaccurate belt alignment increases idler wear. Increased idler wear can also lead to unscheduled downtime and high costs for spare parts. Mine operators can avoid such expenses and production losses using BeltGenius ALEX, developed by Voith. 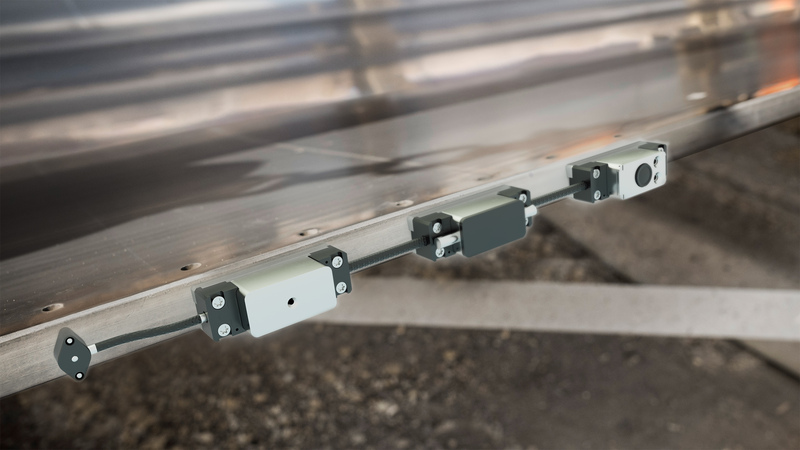 Voith service employees attach the measuring sensors to the conveyor belt edge on both sides , and these sensors measure the alignment of each individual carrying idler. BeltGenius ALEX digitally measures all data and stores it on an integrated SD card. The sensor system detects exactly which carrying idlers and idler frames are affected and automatically analyzes the origin of the problem. During the process, each individual idler set is measured. The datapoints from this analysis are listed in a well-organized log that contains specific work instructions. These datapoints include, among other things, information about which idlers are critical, as well as how big an adjustment must be made, in which direction, and how far. The result of the alignment work will be verified by conducting a second measurement run. The operator then receives the current values of the system along with a direct comparison, including an evaluation of the potentially achievable improvements. BeltGenius ALEX has been developed for all conveyor systems with belts thicker than 30 millimeters. Its high savings potential has been confirmed in an initial pilot run. There were significantly fewer unscheduled downtimes thanks to the sensor-based, high-precision measuring on the conveyor belt. At the same time, the energy demand for horizontal material transport fell by more than 10 percent. Following alignment optimization, wear on the carrying idlers also decreased considerably, extending their lifetime by one-fifth in this case. ALEX is part of the BeltGenius product family from Voith, which also includes BeltGenius ERIC, a digital twin that can be used by mine operators to view the performance of their belt conveyor systems at any time, allowing them to significantly increase productivity. Additional modules are currently being developed. For more information, please visit www.Voith.com/BeltGenius. BeltGenius ALEX from Voith is a sensor system that detects the inaccurate alignment of belt conveyors and generates solution suggestions.